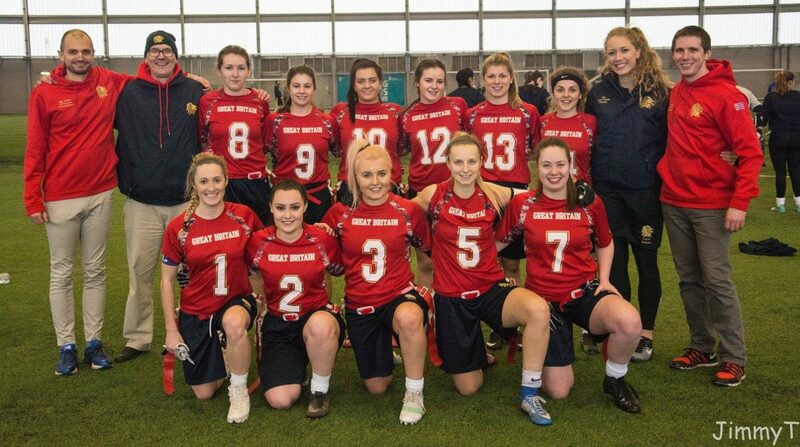 In January this year I started working with the GB Women’s Flag American Football team. 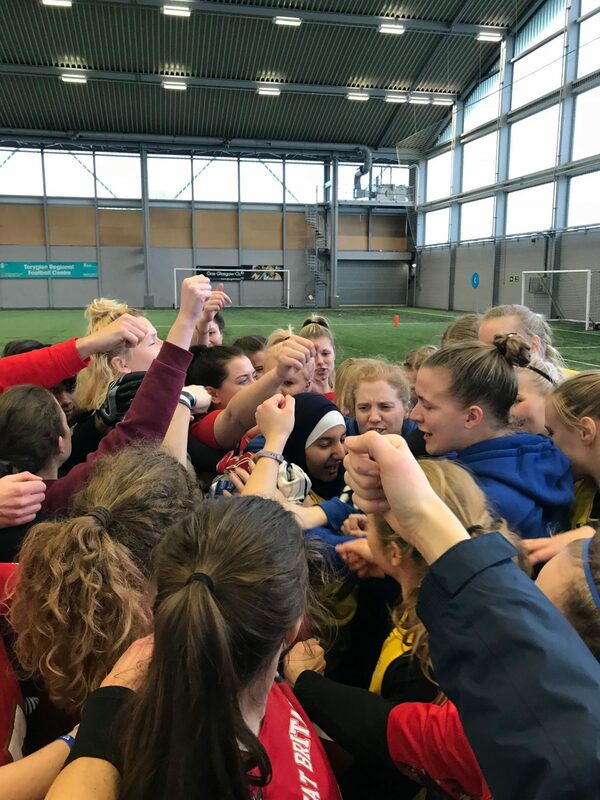 So far I have been with the team at a training session in Northampton and then again in Glasgow this past weekend for a friendly tournament against Sweden. The team and staff have been really welcoming and I’ve settled right in. 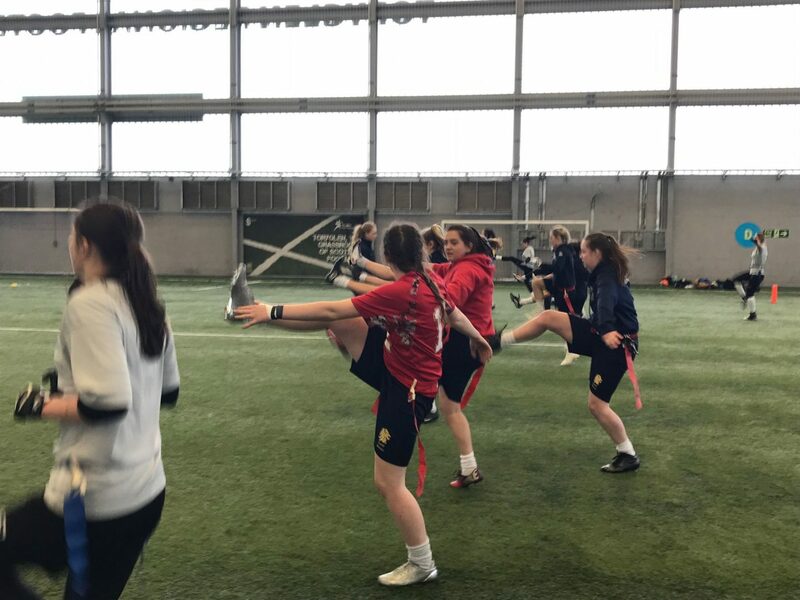 As usual training and game days are very hectic. The days have started early at 8.30am and don’t finish until at least 5pm. As therapist I am back and forth doing assessments, treatments, pitch-side care, warm ups and cooling-downs, and anything else that pops up on the day. Then the day doesn’t stop there! There’s notes to write, stock checks to do and catch-ups with athletes. Here is a vlog from my first day with the team. 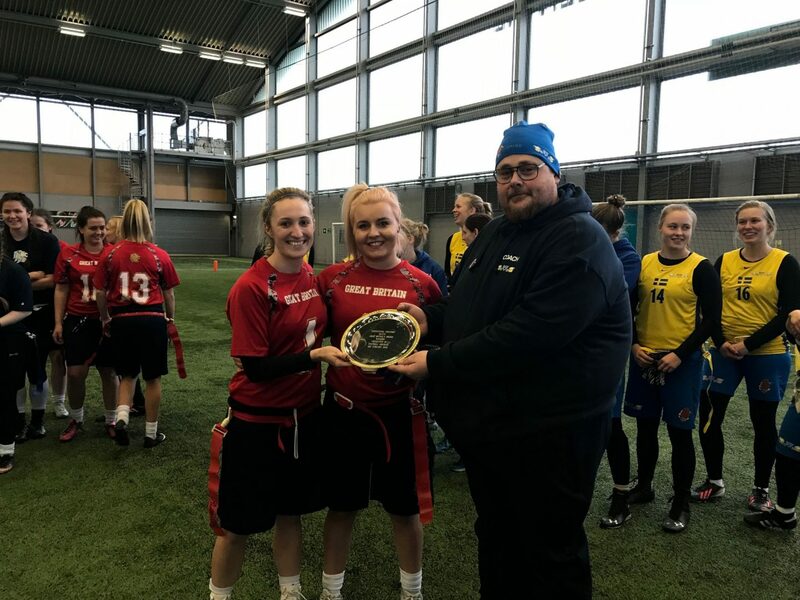 Our friendly tournament against Sweden at the beginning of the month was very successful for both the GB lions and Silver Lions – with quite convincing victories! 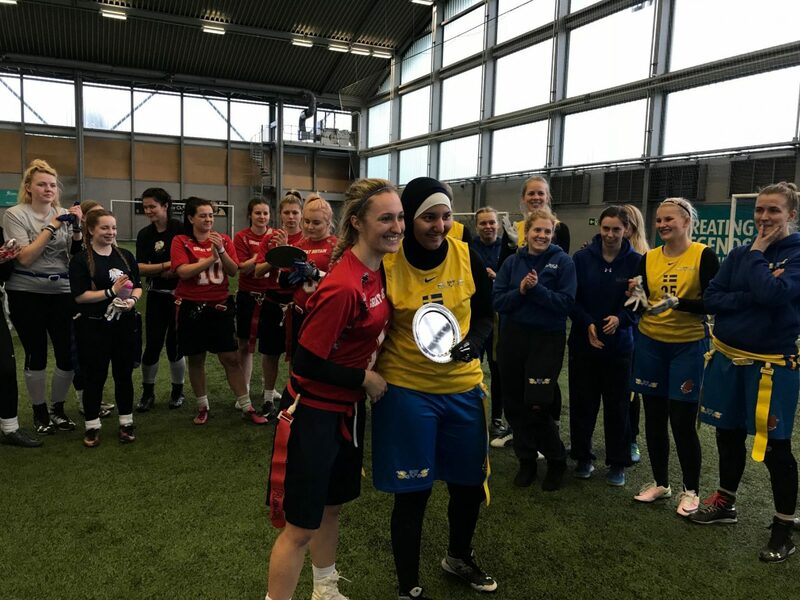 The team also had a fun but productive afternoon training with the Swedish team, followed by a mixed game with the GB Men’s team. Thanks to Jimmy Thomson for the photo! Congratulations to Silver Lion Cindy who won the Gridiron Strong ‘Game Changer’ sweatshirt for ‘Play of the Day’. 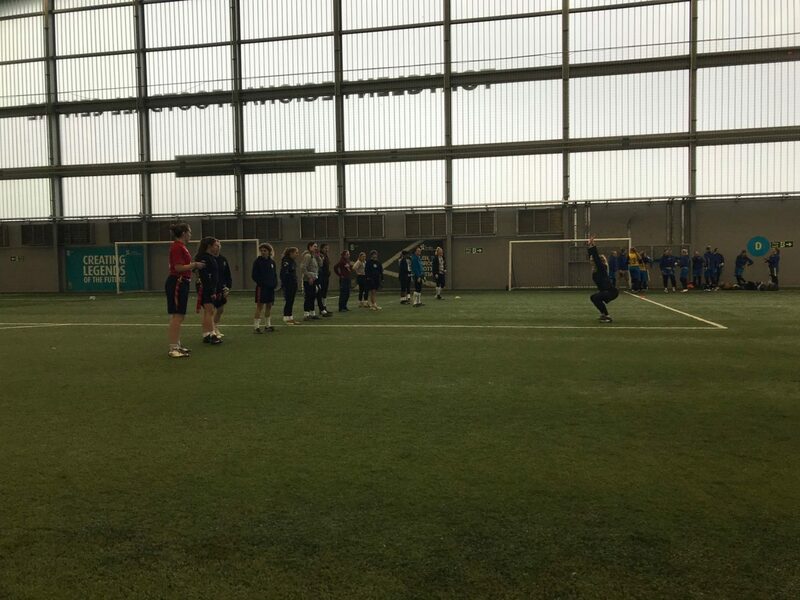 It was very hard to pick a winner on the day – well done to all! 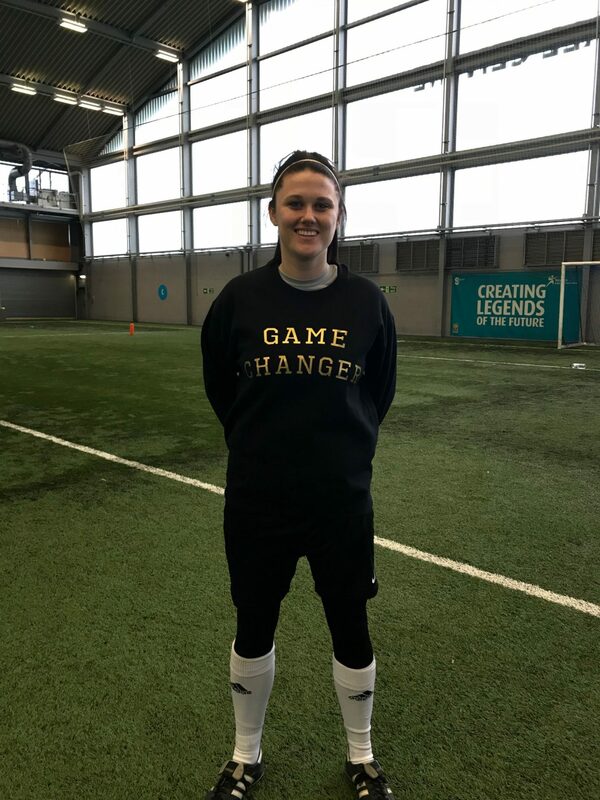 If you like the Game Changer sweatshirt then you can get your own here. 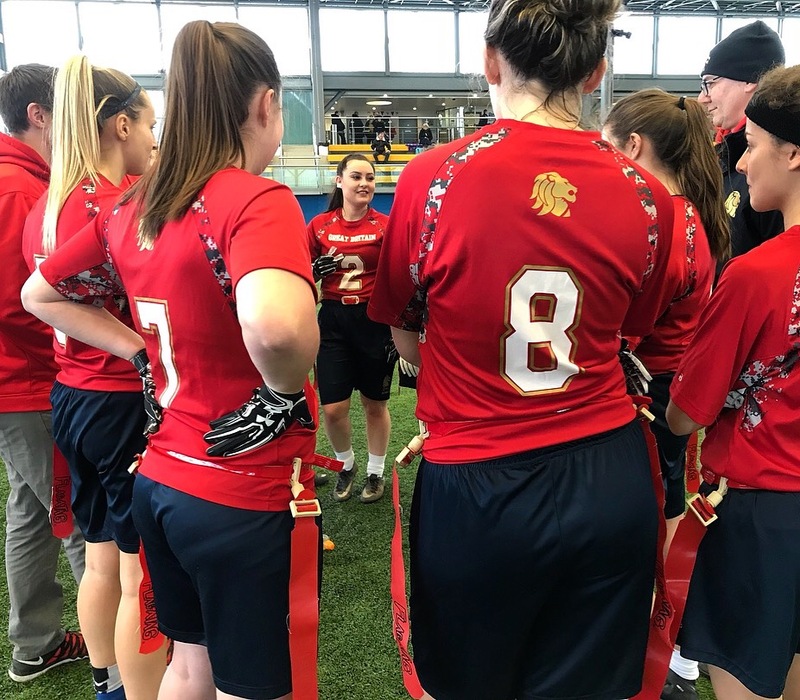 If you’d like to trial for the GB women’s flag team come down to Caroline Chrisholm School, Northampton on the 21st April at 9am to show your skills! For more info click here. I’m looking forward to continuing my work with the team and seeing the squad develop in skill and strength!